Director Brett Ratner is back on board Beverly Hills Cop IV, Deadline reports. Ratner was attached to direct the sequel a couple years ago, but the project was called off when Eddie Murphy was unhappy with the script and backed out. 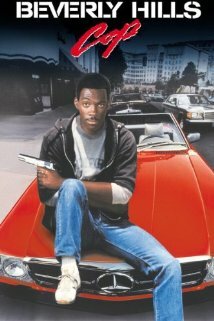 After that, Ratner produced a CBS one-hour pilot for a Beverly Hills Cop spinoff centered on Brandon T. Jackson as Axel Foley‘s son, Aaron Foley, but the network passed on it and Beverly Hills Cop IV was put back into development in July. Josh Appelbaum and André Nemec, the duo who wrote Mission Impossible – Ghost Protocol and the upcoming Teenage Mutant Ninja Turtles reboot, are writing the script. This is being targeted as Ratner’s next directorial project after a Dwayne Johnson version of Hercules that’s filming now.